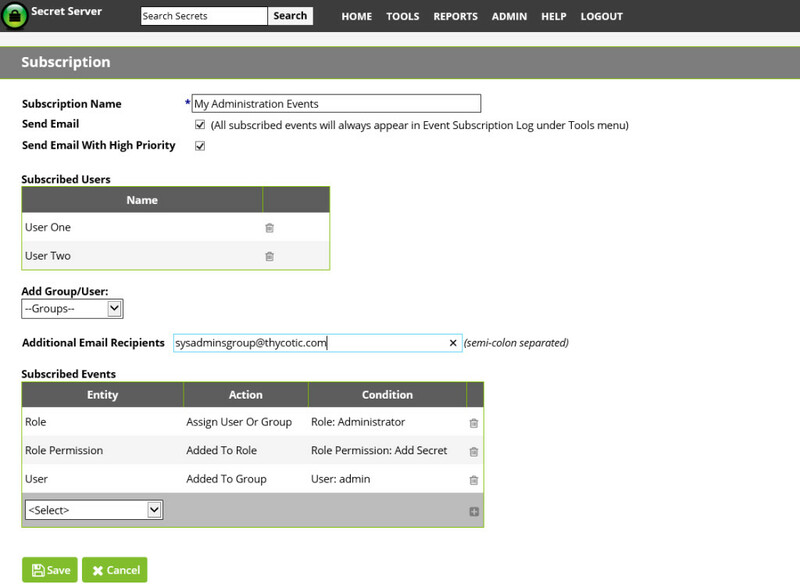 Event Subscriptions are customizable alerts that send email notifications to users or administrators. Secret Server password management software’s Event Subscriptions feature can be set up to alert you when specified actions are performed, or when an event occurs within the system. Try Secret Server FREE for 30 days by completing the form on the right; check out Secret Server’s other user-friendly features; or visit our Resources section for all the help you could want with secure password management.